The Yep RDA by Kingtu is the latest in the trend of high-quality, high-feature, rebuildable dripping atomizer at a very reasonable price. 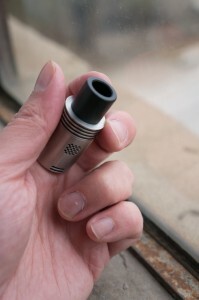 Kingtu are the same company who make the Squape, and the Yep is an interesting spin on the traditional RDA design. In this review, I’ll talk about the strengths and what makes this stand out in the RDA market. The Yep features a pretty interesting design. The big feature here is the air flow. 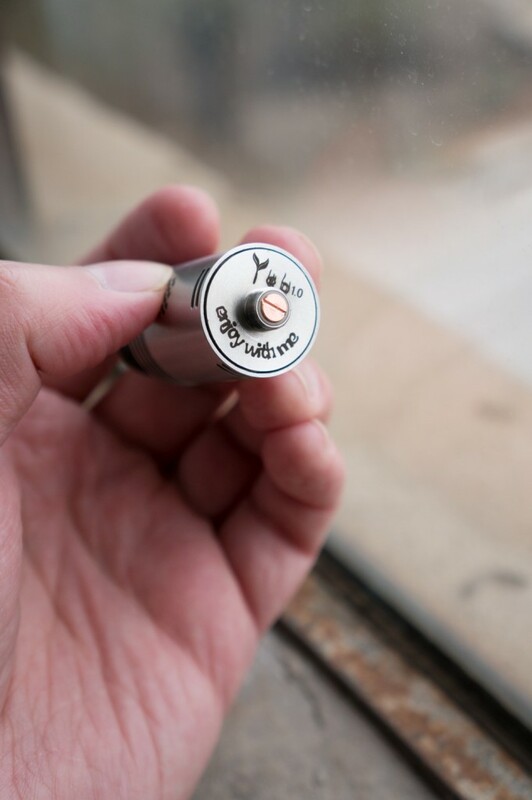 The Yep comes in 4 pieces, the super wide drip tip, top section, sleeve and base. The sleeve features a unique pattern of tiny air holes that are designed to give off what Kingtu describes as a “swirling effect”. The air is broken up as it travels through the smaller holes and provides a pretty interesting draw when you use the device. I really like it. The air flow pretty much come straight up the massive drip tip so there’s nothing there to affect the vapor production such as the conical design of the top cap in the Tobh. I really love the draw on this device. Its quite nice. When I first saw this I immediately figured it was built for cloud chasing. I was quite surprised to find that the Yep is much more versatile. The airflow can be closed down all the way so the performance can satisfy a wide range – from mouth hit vapers to lung hitters. Its quite surprising how this device is so simple and still so versatile. The top cap features the trending “fin” design that the Tobh started. They act as a heat sink and this unit stays extremely cool despite giving a warm vape if you like it that way. Major kudos to Kingtu for pulling that off. The base is really well made. 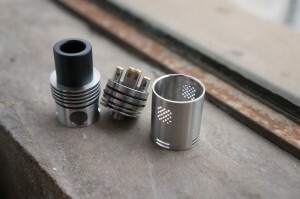 It features a quad-hole setup for your coils and is capable of a wide range of builds from single coil to quad coil. It also has a VERY deep juice well – one of the best I’ve seen. You can easily get 20 drops of juice in here – probably more, but I haven’t taken it that far. More juice means less dripping. Nicely done. The negative posts are milled right into the deck and the positive center pin features an adjustable copper contact for maximum performance. You really get a LOT of features and a nice RDA for the price. 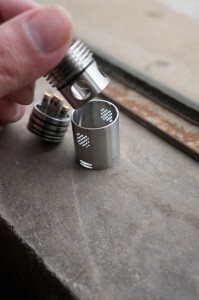 The Yep is featured out much like RDA’s that cost well over $100 and the Yep sells for just under $30. And now the delrin top cap. Its nice and its the widest drip tip I’ve seen but its not a standard 510 drip tip connection. You won’t be able to put just anything on here and it is wide which may or may not be your taste. I will say however, I really like the drip tip. Easy to drip into and pulls a ton of vapor off of the device. All in all I’m extremely impressed with the Yep. They’ve done a fantastic job with this and the price is insanely low considering what you’re getting. Highly recommended! Posted in RDABookmark the permalink.